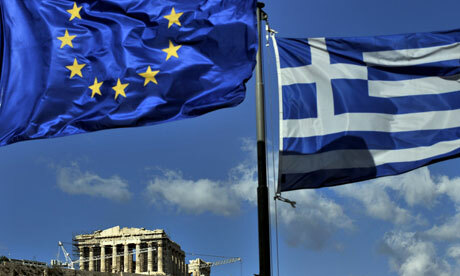 Financial analysts fear that Britain could be among the countries that could follow Greece into a financial crisis. The uncertainty comes after Dominique Strauss-Kahn’s head of the International Monetary Fund (IMF) warned of economic “contagion” spreading across Europe. The IMF urged politicians to finalise a bail-out for the debt-laden Mediterranean country, saying that every day lost in resolving the problems risked spreading the impact “far away”. Strauss-Kahn’s comments came amid growing evidence of Europe’s mounting fiscal problems after Spain’s debt was downgraded following in the footsteps of Portugal as well as Greece. Late Thursday Germany was holding out for more economic reforms from Greece before agreeing to an unprecedented multi-billion euro bail-out plan. UK house prices increased by 1% month-on-month in April, according to the latest house price index. Property experts pointed out that April’s figures did receive an additional boost from the fact that April was one of the weaker months of 2009. However with property values beginning to increase from May last year, it will be difficult to maintain this rate of growth in the coming months. On the commercial property front, it appears that the appeal of London’s robust shopping demand continues attract the leading for international retail chains to the city. A recent survey has revealed how 58 percent of international retail brands have opened outlets not just in London but throughout the UK, spurred by strong consumer demand.